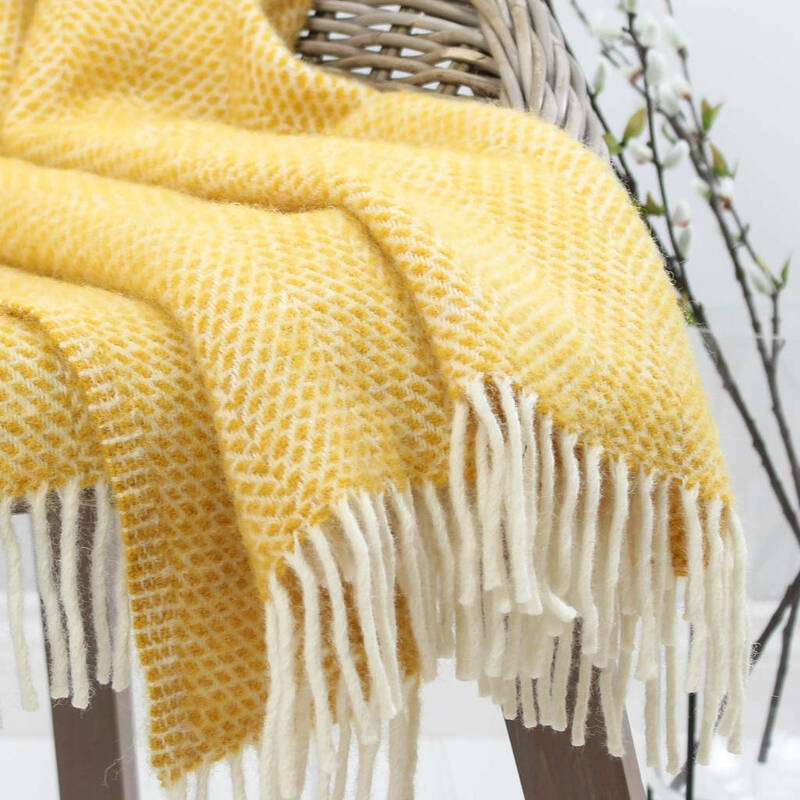 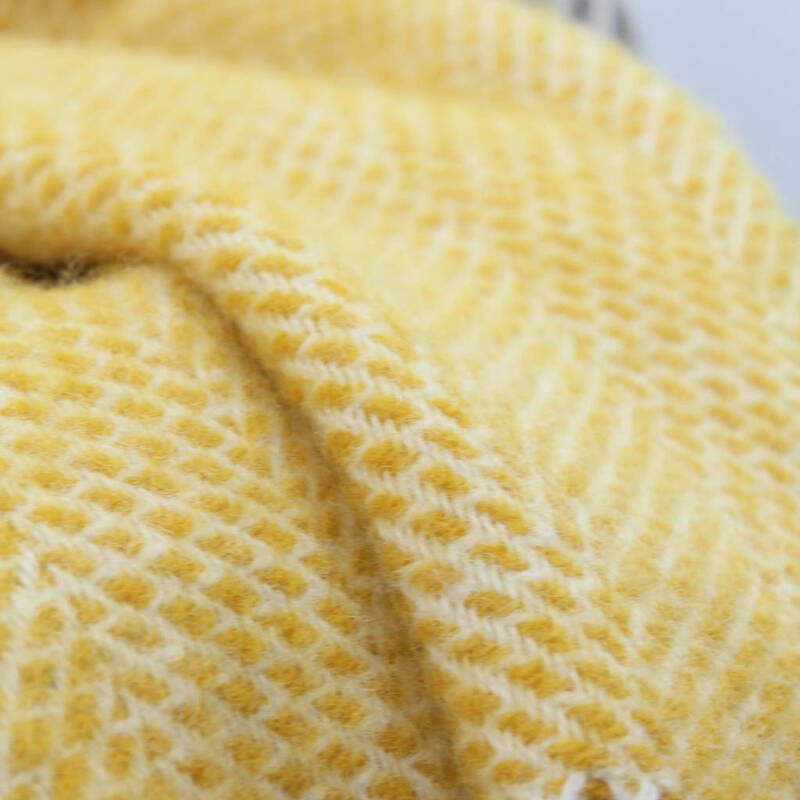 This cheerful woven wool throw in a yellow and cream colourway will add a touch of happyness to your home living space. Made in the UK this throw is woven from 100% pure new wool and can be machine washed on a cold wash setting. 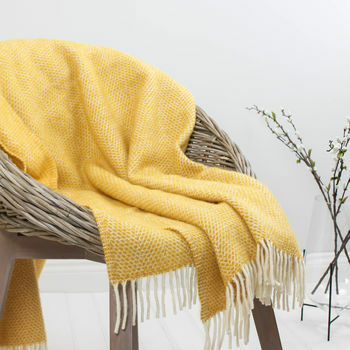 Versatile, this throw would also look great at the end of a bed or take outdoors to use in Summer.